Engagement is the time between being two and one. It moves so fast the mountains shift before the survey is done. 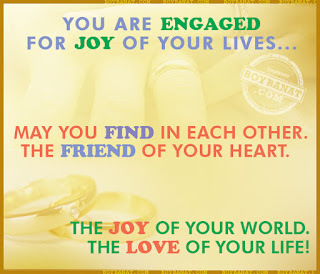 Here's a collection of best, latest and romantic Engagement Quotes and Sayings for you to share with. If you have your own favorite Engagement Quotes and Sayings, we would love to hear it, simply add a comment below or just email it to us with a subject: engagement, and will posted up for you. Hope you'll like it! My Heart Says that you Really Like Me..
Those who by form did see me and those who followed me by voice. Wrong the efforts they engaged in, those people will not see me. "You are engaged. For all of your lives, May you find in each other. The friend of your heart. The joy of your world. The love of your life!" 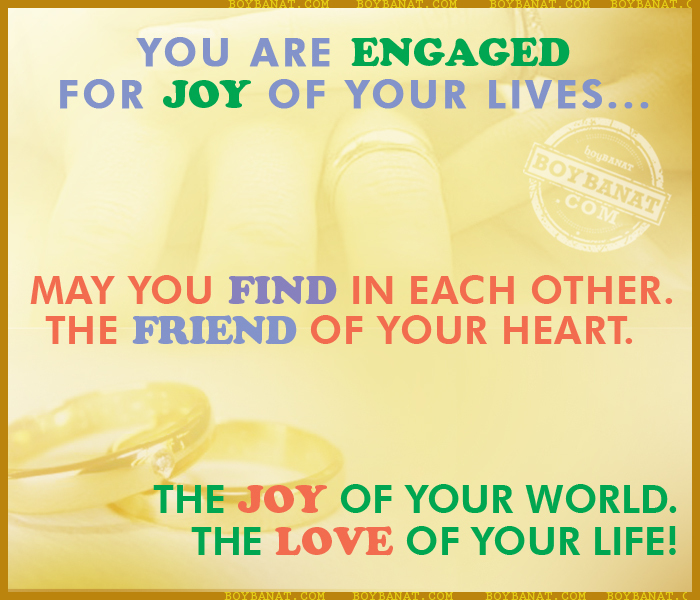 May your love be a reminder of the joy that lies ahead. This brings a wish for happiness in the future you will share. Bless the two of you. companionship For all the years of your lives! Master had asked Story Mistress father if he could marry her.